Early remediation work completed in 2013 enabled approximately 18 acres of riverfront property to be repurposed into a commercial port. Throughout the country, sites that used to be home to historic mining operations centuries ago have been abandoned. Companies, like Doe Run, are reclaiming these lands to restore them or to give them new purpose. Our mine remediation teams are preparing former lead mining and metals sites in Missouri, Montana and Kansas to attract industry or rehabilitate natural habitats. “Mining companies’ practices for mine waste often mean that chat and tailings, the leftover materials from the milling process, are placed in piles and impoundments next to their operations,” said Chris Neaville, Doe Run’s asset development director. Doe Run’s mine remediation efforts improved several historic mining and metal production communities over the last 20 years. The company has invested more than $90 million since 1997 on former mining sites where we’ve created parks and public spaces, and redeveloped the sites for business growth. In 2017, Doe Run began removing portions of our former primary lead smelter in Herculaneum, Missouri. We also continued to remove vacant houses and other nearby buildings we previously purchased. In 2018, we expect to remove additional structures planned for tear-down. The site’s office building, medical surveillance building, and stack and water treatment plant are currently planned to remain. Once the designated structures are removed, we will work with the U.S. Environmental Protection Agency (EPA) on the next steps in preparing the site for future use. Already, early remediation work completed in 2013 enabled approximately 18 acres of riverfront property to be repurposed into a commercial port. 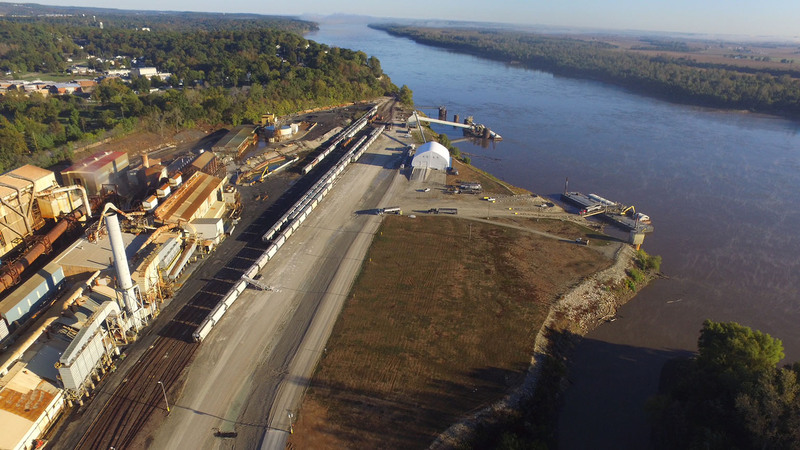 The Riverview Commerce Park LLC (RCP) shipping port now operates two loading docks that ship soybeans, corn, steel and fracking sand from Herculaneum using the Mississippi River’s 15,000-mile inland waterway system. 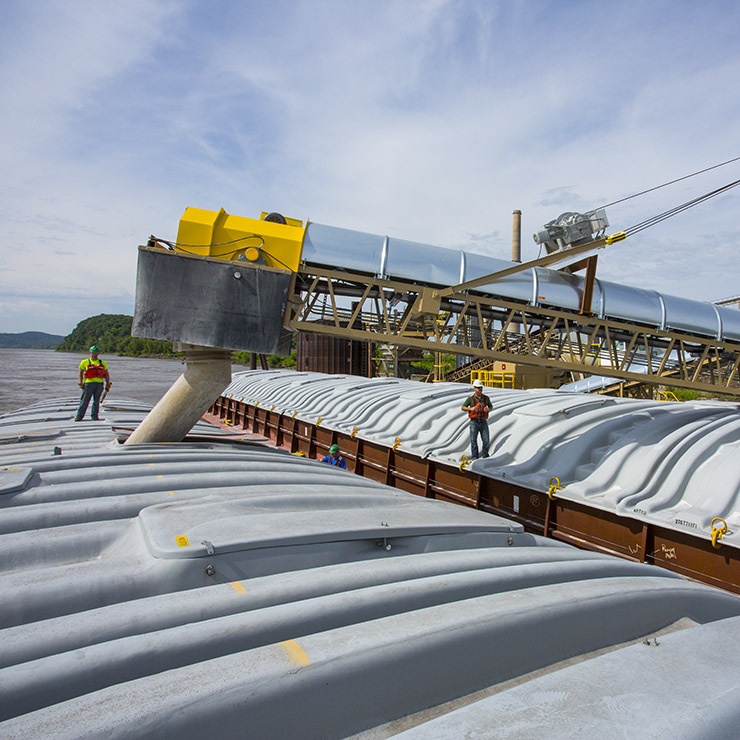 “Direct access to the shipping port already has benefitted local companies, and rail access would enhance our region’s flexibility as a logistics hub,” said Neaville. As part of an agreement with the EPA, a subsidiary of Doe Run began remediating 100 residential yards in St. Francois County in 2017. Lead mining has taken place in this region by individuals and various mining companies for more than 300 years. As one of the last major operators in Missouri, Doe Run is assisting regulators to address non-naturally occurring sources of lead in residential soils where we had historic operations. 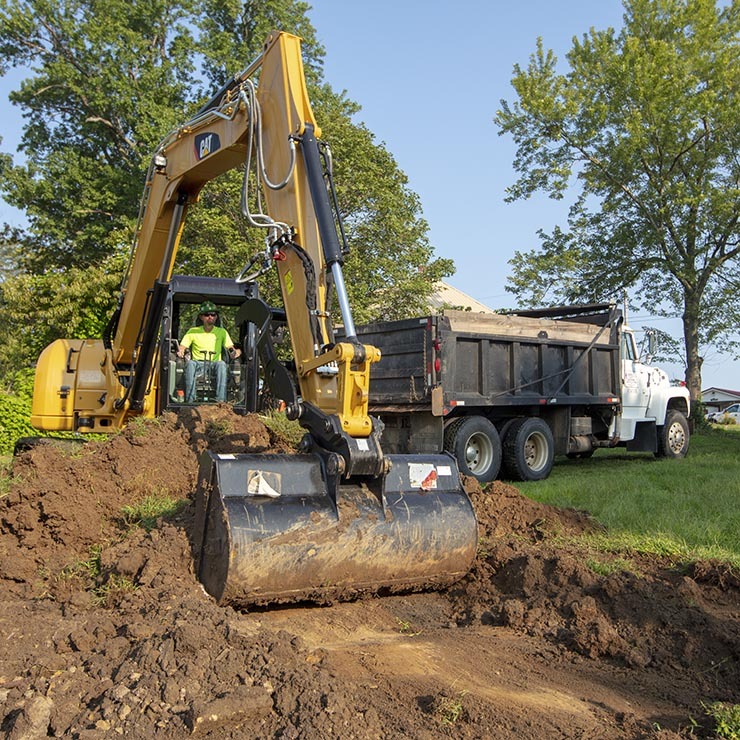 Doe Run actively supervises the soil removal and replacement in particular yards designated by the EPA and where soil sampling results indicate lead levels in soil above 400 parts per million (ppm), the threshold designated by the EPA for soil remediation. The process begins with the contractor meeting with the property owner to discuss the work and schedule. Before excavation takes place, all utilities are marked. Next, contractors excavate the property by removing up to 12 inches of soil and conducting further tests to determine if the property is ready for clean soil. When the yard is ready, clean soil is placed. The final steps include grading the yard and seeding the remediated yard to promote grass growth. A final meeting with the owner to review the work completes the project. Residents incur no costs other than the cost to water their lawns to promote grass growth. Further details on the project can be found on the EPA’s website. Doe Run also handles the mine remediation of legacy sites in Montana, Kansas and Oklahoma that were owned by predecessor companies. Those sites include the Block P mine in Montana – a federal Superfund site once owned by our predecessor, St. Joseph Lead Company. Mining began in the area in the late 1800s when prospectors found exposed minerals in Galena Creek. The Block P mine was built alongside the creek to further explore the area. In 2017, we plugged seeps from the underground mine with a specially formulated concrete to prevent mine water from impacting the creek. Water in the mine can react with minerals in the mine and become highly acidic. The work prevented the mine water from impacting the stream, enabling the stream’s water to return to normal pH levels. Finally, we concluded mine site remediation work in Treece, Kansas, in 2017. We capped and vegetated two chat piles left behind by Kansas Exploration, a subsidiary of St. Joseph Lead Company. That work marks the end of Doe Run’s eight-year, $15 million investment remediating the Kansas, Missouri and Oklahoma tri-state area. Local plant species will reclaim the land and turn it into a habitat for plants and wildlife once again.